Heir to the Empire begins five years after Return of the Jedi. The Rebel Alliance has destroyed the Death Star, defeated Darth Vader and the Emperor, and driven the remnants of the old Imperial Starfleet back into a quarter of the territory it once controlled. Princess Leia and Han Solo are married and have shouldered heavy burdens in the government of the new Republic, and Luke Skywalker is the first in a hoped-for new line of Jedi Knights. 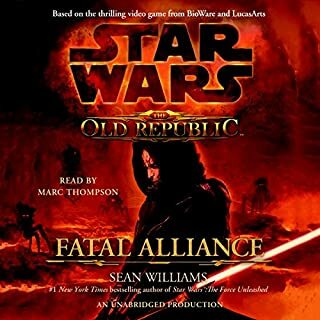 But thousands of light-years away, where a few skirmishes are still taking place, the last of the Emperor's warlords have taken command of the remains of the Imperial fleet - and have made two vital discoveries that could destroy the fragile new Republic. 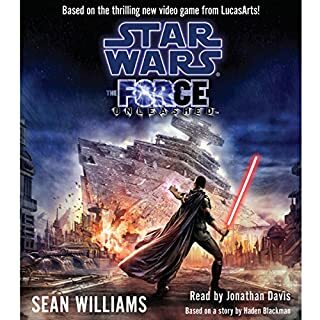 The tale that emerges is a towering epic of action, invention, mystery, and spectacle on a galactic scale: in short, a story that is worthy of the name Star Wars. More in the Thrawn Trilogy series we have. And download all of our Star Wars titles you can! 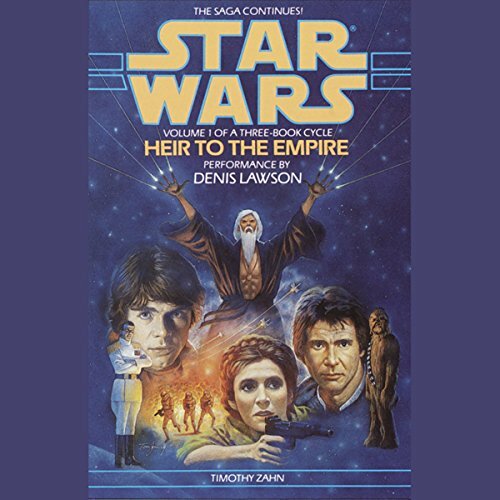 What would have made Star Wars: The Thrawn Trilogy, Book 1: Heir to the Empire better? Who might you have cast as narrator instead of Denis Lawson? 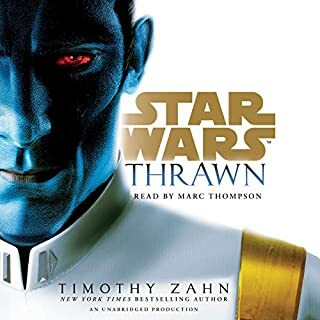 What character would you cut from Star Wars: The Thrawn Trilogy, Book 1: Heir to the Empire? This recording must be redone with the full book being read as key elements are either lost or completely ignored in favour of the time constraint. An unabridged version of this book does exist. I've borrowed it from my library (they had to order it from another library). 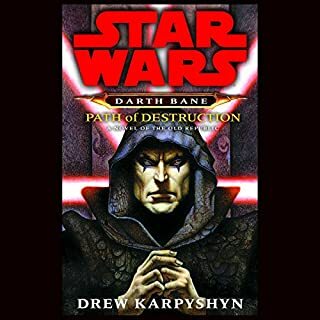 While the Thrawn Trilogy is one of the best of the Star Wars books this abridgment is quite horrible, its not that its even read poorly, there is just so much interesting stuff that was cut out that it goes at breakneck speed that makes you ask how in the hell all these things happened so quickly. Please Audible, get the unabridged versions, and soon. 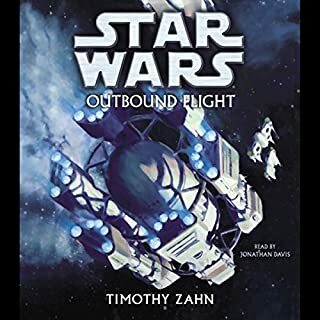 This is a fantastic novel, like all Zahn's Star Wars books, but the audio production is just terrible. The narrator's voice isn't a simple monotone: that actually might have been preferable. Instead, the voice of every character in every scene is made to seem as nonchalant as humanly possible. Whether it's Admiral Thrawn, Han Solo, Luke, or whoever, they generally come off as if they couldn't care less. Incredibly this even applies to several of the action scenes. 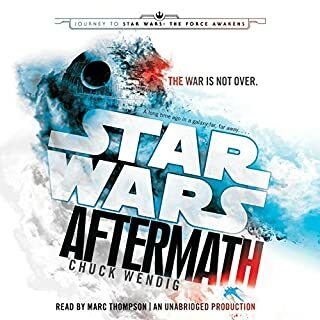 That, combined with the narrator's habit of mumbling the last part of most sentences, made this audio book unendurable for me. 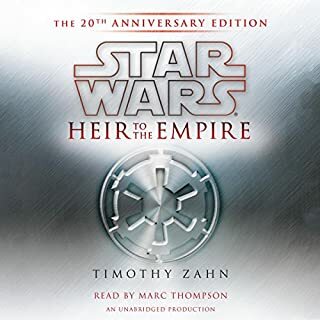 I gave up about 2/3rds of the way through...and I love Star Wars audio books. I own all three of these stories in first edition hard cover and love reading them - great story. Last month I listened to a serious book so this month I wanted something lighter. The read is enjoyable and the soundtrack audio is well placed. 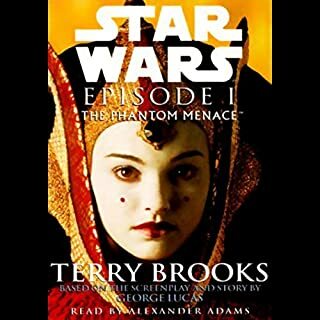 My only frustration is that the audio book is abridged. There isn't anything in the description that says that it is abridged. This was very frustrating. Still a great audio book - so I would recommend it - just be aware it is not the full book. I have listened to most of the series, and have been very happy. Great production with the audio talent, side effects and everything else you would expect from a Lucas based novel. This whole book was flat. The story really offers no interest, no sound effects to immerse you into the story. This really must have been a budget production for them. 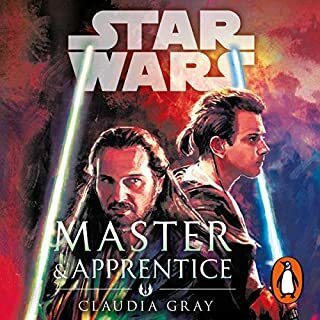 If you have enjoyed Star Wars audio books in the past, don't waste your time on this one. Someone with a British accent narrating something is ok I guess, however, when you have someone that is compelled through social association to add letters and/or syllables into words where they are not supposed to be you get something that is less than contiguous. I had to go through all three books twice just to comprehend what was being said, since very little was comprehensible throughout all three books since very little was pronounced correctly and it took time to associate what was said, with what was known the world over. Just a warning to others of the annoyance factor of trying to associate what is known with what is spoken in narration that is not in continuity with what is already known about the genre. I read the original paperback many years ago. This abridgement has torn the book to shreds. Not worth the credit. Would advice everyone to avoid. By "Abridged" they mean "Cut to the bone". It was a great story, but they've left only the bare structure of it - the details that gave it life are gone. Such a let down. Abridged version, bought it without realising it. This is the abridged version of the novel, it guts it down to a measly three hours. Don't let this be your first experience of this great story. Hated how some of the best bits of the book were missing, butchered in short. 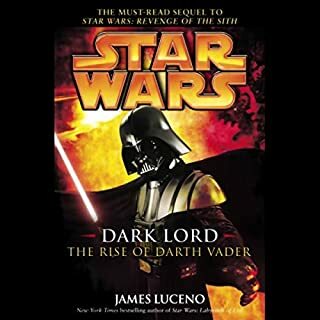 An excellent start to a trilogy Im longing for more of, a true Star Wars book. A few incorrectly pronounced names and planets, but otherwise a very good story. Totally worth a shot. 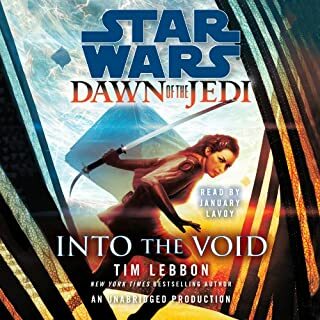 The perfect antidote to Disney's "Last Jedi"
For those disillusioned with Disney's "Last Jedi", this is a perfect book / audiobook to enter the original Expanded Universe (EU) of Star Wars. 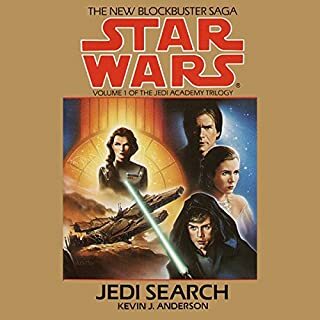 An exciting beginning to the Heir of the Empire / Thrawn Trilogy, which also adds new interesting characters and dimensions to the original Star Wars Story. I can't wait to read / listen to the second part of this trilogy! Was awesome fun I loved the story and the music was an awesome touch. Looking forward to listening to the next one.